LG has announced that it will be introducing the Tone+ 2016 Bluetooth stereo headset at CES in January next year. It will be the successor to the Tone Infinium Bluetooth stereo headset, which was launched in India in November last year. Similar to its predecessor, the Tone+ 2016 has also been designed in partnership with Harman/Kardon. The LG Tone+ 2016 Bluetooth stereo headset comes with dual microphones for better voice capture. It offers better audio output by blocking ambient noise, and has advanced quad layer diaphragm to deliver rich bass and clear treble. The device features the LG Tone & Talk function, which lets you read messages from social networking sites with the press of a button. It can also be used to trigger an alarm when both the headset and a smartphone are connected. 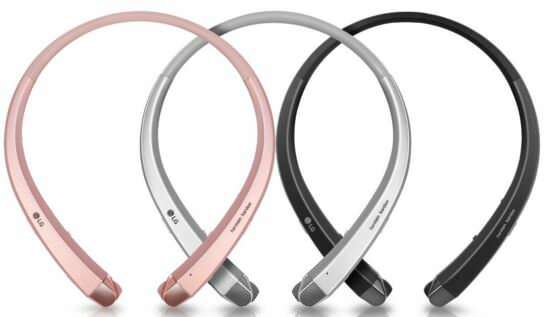 The LG Tone+ 2016 Bluetooth stereo headset will be showcased at CES 2016 next month. It will first be launched in Korea, followed by a global release starting February 2016 in the US, Europe, Latin America and Asia. It will be available in black, white and pink hues.